With so many hotel booking sites and each one guaranteeing lowest price, how does one compete any more? 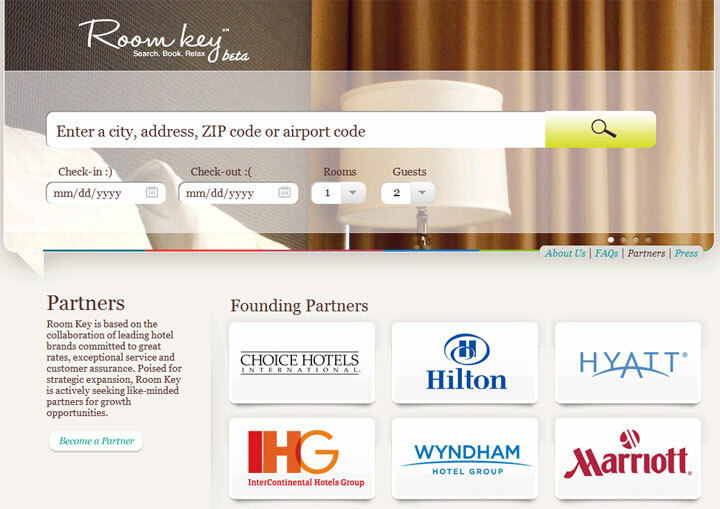 We don’t know about that but Room Key, in its beta stage, promises to do just that. They claim to have lower “commission” or referral fees than other platforms and a site that is purely a metasearch service that the hotels will continue to secure the booking and handle so-called guest management. Currently, there are 23,000 properties listed on the system, with designs on having close to 80,000 worldwide by the middle of 2012. The site is only at stage one, with property reviews coming “very soon” at the conclusion of discussions with “major players in the review space”, as well as a plan at some point to include reviews from its own users. The current process of allowing users only to search by city and date will also evolve, claimed John Davis, CEO, with options to find properties based on hotel name and chain to follow. Davis says a full-scale, multi-national marketing campaign will begin in March 2012 to attract visitors, with a number of “creative ways” of getting exposure. 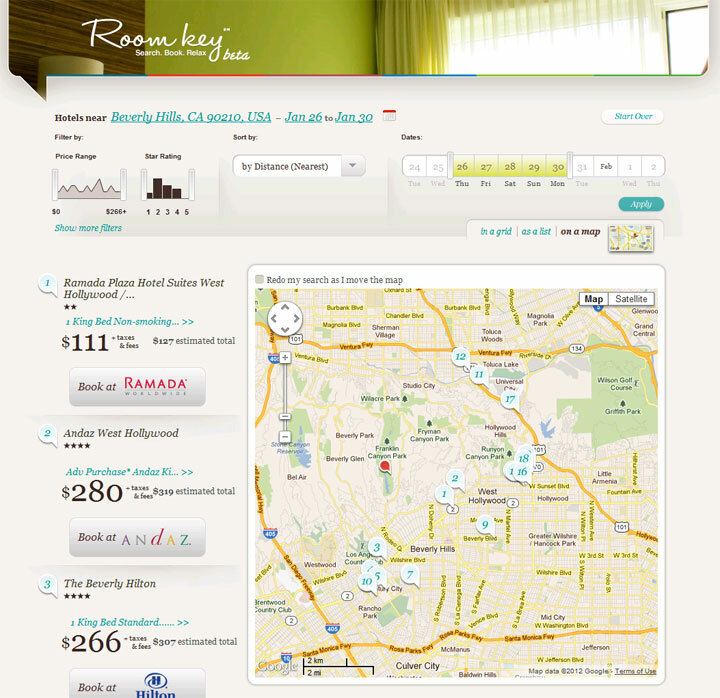 Upon entering the zip code or city of your destination, Room Key will list all the hotels with options to view them in a grid, as a list or on a map. You can move the “price range” and/or “star rating” sliders to filter results. Click on that secondary link below the name of the hotel and you can see more information like gallery, overview and facilities. Shouldn’t there be a button or link that says “details” and more prominent?! Click on the “Book now” button to be navigated to the hotel’s website for further bookings. There were cases where we saw higher prices on the hotels websites from those shown on Room Key, which can also be possible for any other booking website. Remember, the website is still in beta so we will just have to wait and see what they have to offer.